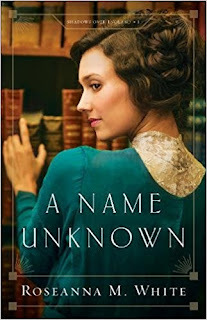 A Name Unknown is the first installment to Roseanna M White's whole new series, Shadows Over England. I cannot say how much I love this story. This is by far my favorite of Roseanna M White's books to date. Rosemary is a fabulous, lovable character and I love the chemistry between her and Peter. The story is full of intrigue, humor, adventure, danger, and faith. It has got it all. I most definitely recommend this book. Looking forward to see what happens next in the series. A well deserved five star read.